Pizza is a popular choice for family meals, dates, quick dinner, and lazy football afternoons. Pizza is loved by many people, but did you know that a recent survey showed that 63% of pizza lovers were ladies? Women make up almost 2/3 of the slice eating club, so how does that fit into health and fitness goals? There are a few ways that you can get your pizza fix with a healthy twist! An obvious calorie savor is putting the veggies on as your topping instead of meat. The key though is to make the veggies choices like artichokes, mushrooms, peppers, and onions which are heavier and will fill you up faster. This will help you limit the number of slices. How about opting for a Margherita pizza that has larger mozzarella cheese freckles on top which is not like a completely covered with mozzarella pizza. Your choice here is a few calories less overall which is a good choice. Getting a thin crust pizza will save almost 100 calories, but there is a catch. 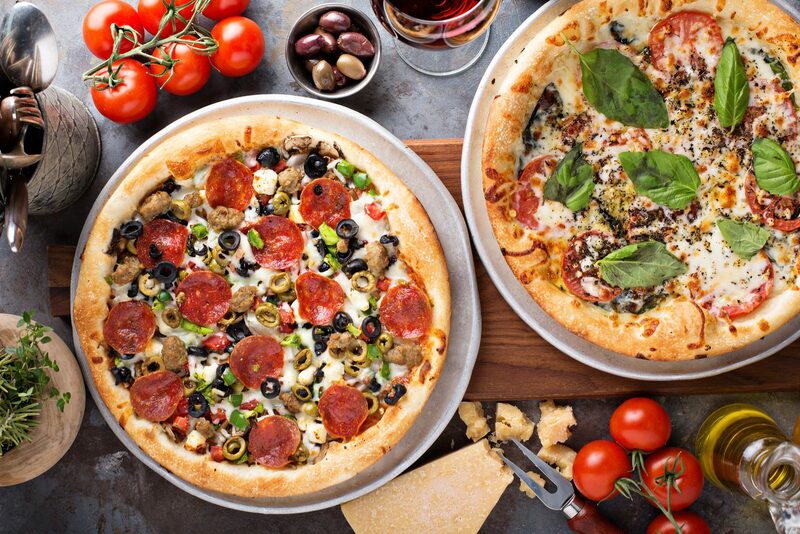 Many people fall in the habit of eating more pizza because it is thin. A good tip is to get the regular crust but slow down eating and use a knife and fork. It just may change your perception of your meal and promote eating less. 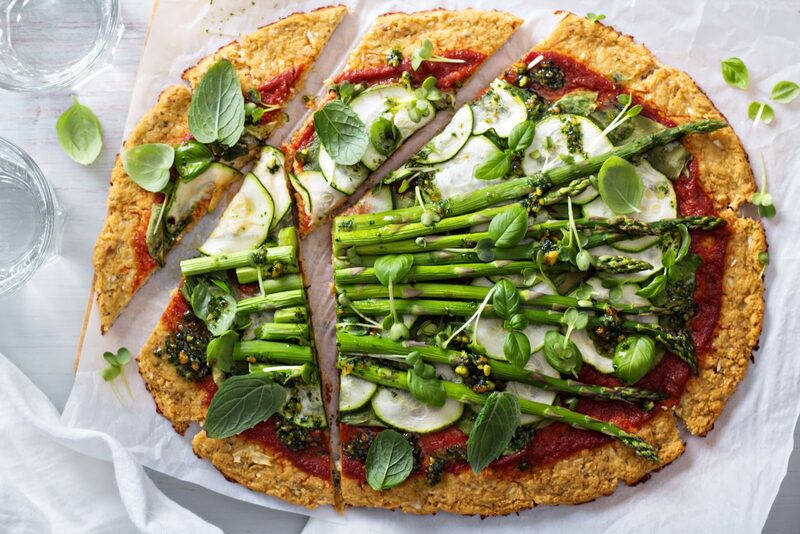 A popular new healthy low carb gluten-free twist on the crust is cauliflower crust. Some restaurants have this, but more often you either make your crust (check out great recipes online) or purchase a premade crust from the store and create an amazing pizza. If you take on the production at home, you can do versions that are dairy-free or vegan depending on the ingredients. Check your grocery stores for full premade cauliflower crust pizza to try it out. No deep dish, no cheesy stuffed, no fried pizza, and no special kinds of pizza, this should be self-explanatory for anyone on a health quest.